InXile has released a gameplay video of The Bard’s Tale 4 that shows off combat for the first time. The video, below, shows exploration of a portion of the Fichti Forest. Eventually the party opens up a cave, plays a magical song that repairs a broken bridge and runs into a few goblins. For me there’s a lot to like about the way The Bard’s Tale 4, which raised $1.5m on Kickstarter, is shaping up. I love the Unreal Engine 4-powered environments, and the monsters look great. There’s good news and bad news with Batman: Return to Arkham’s latest 1.02 update. On the one hand, it’s clear that there’s been a big push towards optimising the product into the kind of game it should have been at launch, meaning that owners of standard PS4 hardware now get a solid game overall with just minor issues. On the other, the vaunted PlayStation 4 Pro support (officially flagged in the patch notes) is basically an affront to everything the system stands for – to the point where some believe it’s actually a step back from the original Pro ‘features’ the game shipped with. There are two titles in Return to Arkham, of course, each with their own set of issues, but let’s talk first about the more problematic of the pair – Arkham City. When we first looked at the game running on base PS4 hardware, the wildly fluctuating, unlocked frame-rate generally saw performance in the 30-40fps ballpark, but the title could hit 20fps and below in particular stress points. The prognosis here is good. A perfectly frame-paced 30fps is now in place, and the majority of the sub-30fps drops are now gone. 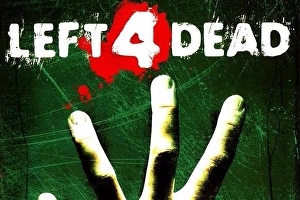 In essence, the title now offers up performance similar to the last-gen console releases, but enjoys all of the visual changes brought by the move to Unreal Engine 4. We’ve traded raw frame-rate here for consistency – and the improvement is marked. The push for optimisation hasn’t impacted dynamic resolution: we ran several fresh pixel counts on the game at peak stress points, and with patch 1.02 installed, the standard PS4’s resolution comes in at lowest 1344×1080, but typically rests at 1920×1080 as usual. A dynamic resolution system is still used then, and where it does drop, image quality is identical to the last patch in matching scenes. Evolve and Left 4 Dead creator Turtle Rock has announced a new co-operative shooter with strong dark fantasy elements for free-to-play online game publisher Perfect World (Neverwinter, Star Trek Online). The game has no revealed name but will use Unreal Engine and be released 2018. Platforms aren’t mentioned but PC is a given. French indie studio AnyArts Productions has announced Seasons of Heaven, a new adventure game to be released exclusively on Nintendo Switch. Seasons of Heaven’s story is based on a little-known of the same name, which centres on a group of survivors in a post-civilisation world. The game stars are Yann, a young boy with Asperger’s syndrome, and Ani his French bulldog. has the first details and initial screenshots, some which you can see below. Both Yann and his canine pal are playable. 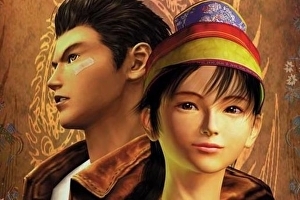 Sega continues to dither over the matter of Shenmue remasters, but fans continue to do great work breathing fresh life into the modern-day classics. An all-new video from YouTube channel Dreamcasters’ Tube acts as an effective recap of the two previously released games while upgrading in-game cutscenes to 4K60fps. 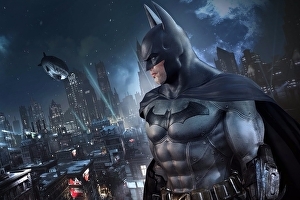 At the very least, the Batman: Return to Arkham remasters are an interesting technical exercise, bringing the newer features of Unreal Engine 4 to two older classics – Arkham Asylum and its sequel Arkham City. Each were originally built on a modified Unreal Engine 3, but developer Virtuos (best known for the Final Fantasy X and X-2 HD remaster) chooses to revamp its character models, overhaul its lighting, and add higher resolution effects across both. The visual changes are often striking – but sadly, glaring issues with performance can’t be overlooked. In the absence of a PC release, the brute force offered by a hardware upgrade can’t address the struggling frame-rates. However it does create an interesting setup for a comparison, letting us pit these PlayStation 4 and Xbox One conversions against the original PC code running at max settings. It’s worth stating right away that the Nvidia PhysX enhancements on PC remain locked to that platform, and neither console gets the physics-based smoke, particles and debris. But putting this aside, what are the key changes of this remaster? First up there’s the obvious: the character models. Much like Virtuos’ work on Final Fantasy X and X-2 HD, the game’s vibrant cast of heroes and villains are given facelifts to varying degrees. Such changes may irk those familiar with the original’s stylistic direction; in some cases details are simply amplified, in others we get wholesale overhaul. A case in point: the Penguin gets a complete revamp of skin shaders across his face, adding more stubble in the remaster, and generally rearranging all scarring detail on his forehead. Even his monocle is given a crisper glass material, now uncomfortably crammed into his eye socket. It’s one of the most striking changes in the game – but better? It’s up for debate. In development since 2012, Gears of War 4 marks the triumphant return of the chainsaw-wielding franchise. 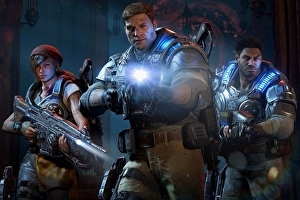 While it may seem like familiar ground initially, Gears of War 4 is actually a game of many firsts – it’s the first project from The Coalition – the Gears focused studio formerly known as Black Tusk – the first big AAA console game powered by Unreal Engine 4, and the first Gears title released day and date on both Xbox One and PC. Gears of War is certainly an important franchise for the Xbox platform and it has quite the heritage on the technology side of things. The original game helped influence the amount of memory included in Xbox 360 while simultaneously showcasing Unreal Engine 3 at its best, helping it to become the most popular toolset of the last console generation. Times have changed as of late with more studios favoring in-house solutions but Epic has continued to refine its latest iteration of the technology, Unreal Engine 4. Now, 10 years after the original release, does this latest iteration keep the Gears tradition of pushing technological boundaries alive? Let’s start with the basics – Gears of War 4 is focused on delivering pristine image quality on both platforms. On Xbox One, the game presents a full 1080p resolution for most of the experience while using an adaptive pixel count on the horizontal axis in order to counteract GPU spikes. While playing the campaign or engaging with the game’s horde mode (both of which operates at 30 frames per second) you can expect to see full 1080p more than 94 per cent of the time. In competitive multiplayer mode, however, the frame-rate is bumped up to 60fps resulting in more noticeable drops in clarity as the action heats up. On paper, the package looks compelling. The original BioShock, its underrated sequel and all the DLC are treated to a full remaster for their current-gen console debuts, plus there’s a full port of BioShock Infinite, offering the complete PC package for PS4 and Xbox One owners. On top of that, 2K Games has aimed high in terms of performance and image quality, with 1080p resolution and 60fps action targeted for all three titles. Now in theory, this shouldn’t cause any issues for the first two games in the series, at least. 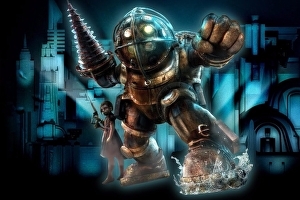 After all, despite their striking visuals, BioShock and its sequel are actually based on a modified form of Unreal Engine 2.5, a relatively ancient game engine originally deployed in the PS2 and original Xbox era. On top of that, BioShock Infinite – despite its various streaming glitches – proved to be a mostly solid piece of PC code, the ideal basis from which to port to PS4 and Xbox One, so hopes were high going in here. Additionally, there’s good news for PC owners of the original games too – they get immediate access to all of the remastering work with no further cash outlay required. This is a generous move on the part of 2K, bearing in mind that conversion-smith Blind Squirrel Games has clearly poured a lot of time and effort into bringing BioShock and its sequel into the modern gaming era – there’s revamped lighting, new models, and higher resolution textures grafted into the first two games. 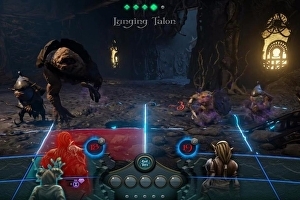 Additionally, all three titles benefit from the inclusion of a director’s commentary, unlocked by discovering new items added to each version of the game. It’s been a long time coming. 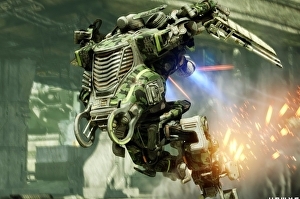 First released in 2012 after extended alpha and beta testing, Hawken’s mech-fuelled combat action attracted plenty of attention owing to some highly attractive Unreal Engine 3-powered visuals. However, after two years of support, publisher Meteor Entertainment shut down, leading the game in limbo. Bought up by Reloaded Games, Hawken is now available on PS4 and Xbox One. And the question now is this – just how good is the port, bearing in mind how badly the publisher’s work on turned out? Well, the good news is that the overall quality of the game is a significant cut above APB’s current shocking state. Visually, Hawken still looks rather attractive – testament to the quality of the art direction from the original development team. And in terms of image quality, there’s very little to separate the PS4 and Xbox One versions of the title: both render at a native 1080p with identical core assets, the same anti-aliasing solution and mirrored effects work. The only dividing line concerns ambient occlusion – PlayStation 4 receives a more refined solution, whereas the Microsoft platform sees some rather heavy black halo effects in certain areas. The platform parity also extends to some decidedly last-gen looking artefacts. Texture resolution looks relatively low judged by today’s triple-A standards, and UE3’s streaming difficulties – seen at their worst on – also manifest here, with higher resolution artwork sometimes failing to resolve. On top of that is a curious blurriness to the aesthetic: Hawken often looks as though it’s running at a sub-native resolution in motion, despite all pixel counts on both systems returning full HD results. All of these issues in general detract a little from the sheen. What’s gone wrong with Mighty No. 9? On the face of it, Mighty No. 9 shouldn’t be causing PlayStation 4 or Xbox One any problems. After all, it’s a simplistic Unreal Engine 3-based side-scroller, and despite its humble origins as a Kickstarter-funded project, this should be a fairly easy win for Keiji Inafune and his team at Comcept. 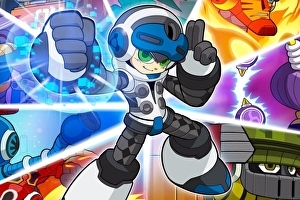 As a spiritual successor to Mega Man, we expected rock-solid 60fps platforming, a firm-but-fair level of challenge and something close to the visual style shown in its . What we’ve ended up with is something remarkably sub-par. Visually it’s an unwanted shift from that early concept. The lighting model is changed entirely, and in its place we have an attempt to recreate something akin to the look of a Saturday morning cartoon. The introduction of some colour is welcome, but background detail is too lightweight to impress – made up of copy-pasted 2D foliage, box-cut geometry and low resolution textures. It’s a massive change in style, perhaps catering to all platforms within the team’s remit, including PS3, Xbox 360 and Wii U – not to mention 3DS and PS Vita. However, the end result is little that plays to PS4 and Xbox One’s strengths, besides running at native 1080p. It’s confirmed that the delayed handheld versions run on to the home console versions, rebuilt from scratch by developer Engine Software. However, Comcept has evidently overstretched itself with support for so many formats, and in the process, PS4 and Xbox One alone show a myriad of issues. We’ve put together a short list of the main points of concern for us right now – with the hopes something can be done via an upcoming patch. Author saeedPosted on June 23, 2016 Tags Engine Software, Mega Man, Unreal Engine, Xbox OneLeave a comment on What’s gone wrong with Mighty No. 9?